The 2014 El Niño is looking more and more like a bust | Watts Up With That? LIMA (Reuters) – The worst of the potentially disastrous weather pattern El Nino is now behind Peru and cooling sea temperatures are luring back schools of anchovy, the key ingredient in fishmeal, authorities said on Friday. Temperatures in Peru’s Pacific peaked in June, rising 3 degrees Celsius (5.4 Fahrenheit) above average levels, but have since retreated and will likely return to normal by August, the state committee that studies El Nino said. “The possibility of us seeing an extraordinary Nino is ruled out,” said German Vasquez, the head of the committee. July 6, 2014 in ENSO. Looks like more warmish la nada. No trade wind anomaly except in the far western Pacific. No trade wind anomaly, no el nino, pretty much that simply. El Nino as a manifestation of slack or reversed trades. That typhoon east of the Phils certainly is taking a lot of heat out of the Western pacific. He then returned to his room to cry. The first time I read about El Nino was as a 14 year old in the sixties in a little book about curious phenomena on Earth, written in the late fifties. One thing has stayed with me: the writer reported that scientists were eager to studied it urgently because, apparently, the El Nino cycles were dying out; little did they know. It probably shows that the strength from one to the next is as variable as can be and that a damp squib El Nino this time is nothing special. El Nino, La Nina and all conditions in between are all normal and to be expected. The problem with anomalies is that people think that any deviation away from the centre point is abnormal. No chance of a resurgence over the next few months? I have a few people who’s faces I’d like to shove this into. So will the lack of warming from an El Nino make this a terminal hiatus? Yes, one Kelvin wave never makes a strong Nino. This one has already peaked. I wonder if the temperature anomaly will remain elevated long enough to be an official El Niño. It has to stay above 0.5 for three months, right? Here in Australia, all the alarmists were hoping that this would be a “mega” El Nino driving temperatures, drough and bush fire risk higher. Seems like it will be a fizzer! 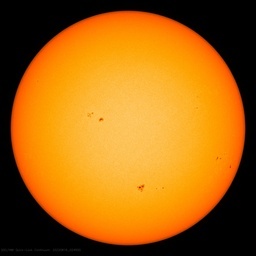 How does this correlate with low and sliding solar activity? Don’t worry, Big Climate Change will just fiddle with the data to make it the biggest El Nino of all time. Solar electromagnetic cycle changes could be responsible for the sudden inhibiting of El Nino events. The peculiar solar cycle 24 could be inhibiting El Nino events by a reduction in solar wind bursts. The solar wind bursts create a space charge differential in the ionosphere which removes ions from 40 to 60 N and S and the tropical region. In the high latitudes the removal of ions causes there to be less clouds. In the tropics the removal of ions affects cloud droplet size which in turns affects how long wave radiation passes through the tropical clouds. More ions results in more and small droplet size in the cloud which according to Tinsley increases the amount of long wave radiation that passes through the cloud. There is now observation evidence of cooling at 40 to 60N and S.
Solar electromagnetic cycle affects appear to be reason for the increase in Antarctic sea ice post 2012. The solar heliosphere blocks galactic cosmic rays (GCR mostly high speed protons) which create ions in the atmosphere. Due the configuration of the geomagnetic field the GCR that modulation by the solar heliosphere is above 40 N and S. An increase in ions causes there to be an increase in low level clouds and it is believed a reduction of high altitude cirrus clouds. Both changes cause cooling. This is poetry in motion. On Thursday evening BBC radio was reporting on the upcoming big El Nino. A few days earlier we were treated to the BBC upholding a complaint about them interviewing the (skeptical) Nigel Lawson. The BBC cited “evidence” from computer models as being sufficient reason to exclude views they consider to be wrong from the getgo. Always a good idea to check the anchovies, they are a reliable indicator of the most important component of ENSO – the Peruvian upwelling. With el Nino over the question now is how strong will the following La Nina be. Since the peak has been June-July this suggests that the La Nina will not be very strong either – unless something exceptional is happening. All it means is that the Atlantic Hurricane season will be the rallying cry instead of flooding in California. Snow storage on NZ skifields typically accompanies El Ninos with southwesterlies and clearer skies, without low pressures that result in cloud, warmth and snow melt. It has started snowing in NZ in a so-far mostly mild winter. The rest of winter should overall be cloudier than average for both islands, This correlates with solar peaking. In 2015 we could be past the #24 peak and greeting a colder NZ winter accompanied by El Nino. pastures doing very well with the lack of real cold earlier on, following the rains we did get. crops are looking pretty good /Canolas buggy. My favourite pizza is the Napoli pizza with anchovies, black olives, mozzarella cheese etc … mmmm O yes! – maybe it should be called the “La Nina” pizza. Watch out for embedded interests and assumptions. These Peruvian committee members are probably interested in continuing investments in the fishing industry. As usual, watch all indicators independently, since all government-related sources are biased. Yes its looking like this El Nino is going to be a damp squib. So l expect that the AGW agenda is likely to switch to Arctic sea ice extent. Which has taken a sharp dive over recent days, and may get close to or beat its recorded low of 2012. This Gore effect is very powerful! Al flys in to Australia for a brief visit, the temperature plunges with freezing weather and excellent snowfalls in the Alpine Regions, and now the oceans cool, simply amazing!!!! The ice looks fine to me. What graphs are you looking at? Been ranting against this since Spring , taking Trenberth etal apart showing how the physical drivers were not present and its much more in line with a cold pdo SPIKE with the MEI cold preceding. There will be an el nino likely to be a blend of the 02/09 events recently. The pattern is much like the 1950s and the 1957-1958 enso event is another to look at. Joe D and I have this getting to about a 1.5 or 1.6 in enso 3.4, but 1.2 is much cooler, not the center of it during winter. The Peruvians, IMO have caught on as their destructive enso events are when 1.2 is very warm as it is in warm PDO set ups. I find it amusing. For all our technology, NOAA NDBC, and all the satellites and other various ways we measure changes in ocean temperatures, currents, wind, etc., and all those computer models. It seems the defining factor in determining the existence of an El Nino is the catch of anchovy? If the science the climate obsessed refers to was sound, they would not be so dependent on El Nino/ La Nina effects to support their claims. Consider how scientists since at least the 1980’s and possibly before have mis-reported the Pacific ocean oscillations. Their promotion of hype and fear raises the question as to how objectively they view science in general. As my granny used to say “never rely on El Nino to prove a hypothesis.” Well she didn’t actually say that. She said “never send a boy to mill”. But El Nino is just that boy in the climate world, unable to warm the planet enough to put the warmist models back in play. Translation: Hopefully we can get away with this cherry-picked “warming hiatus” a couple more years yet. Then we move onto the next piece of BS anti-science propaganda. El Nino is just that boy in the climate world, unable to warm the planet enough to put the warmist models back in play. El Niño can’t provide enough warming to put the models ‘back into play’ because it is a natural phenomenon, and, to attribute El Niño warming as a validation of CO2 warming is false science. Not that the AGW proponents wouldn’t make the claim. I predict that, if the El Niño fades and does not occur, sites like ‘Real Climate’ will quickly make the claim that CO2 ‘killed’ the El Niño and that this is proof positive that they are right, CO2 is ‘disrupting’ the cllimate. What’s really happened is that all the cold water left-over in the eastern Pacific from the recent La Ninas (the cold PDO), (J. Bastardi’s description) (however it is described) has won the war against the warm water moving in from the equatorial under-current. The warm water has now been mostly neutralized. Nino 3.4 will still go up over the next month as there is warm water at the surface which will move to the west with the Trades and the prevailing current but it won’t get to over 1.0C and it will dissipate rather quickly. 300 metre ocean temperature anomaly. Watch equatorial Pacific. The fuel driving the El Nino, has been used up. California should still get some increased precipitation from the event starting August/September but no big flooding rains. > All it means is that the Atlantic Hurricane season will be the rallying cry instead of flooding in California. We continue to foresee a below-average 2014 Atlantic hurricane season. The tropical Atlantic remains cooler than normal, while El Niño is in the process of developing. The transition to El Niño remains slower than previously anticipated, but the tropical Atlantic has also cooled over the past few weeks, causing us to keep our forecast the same. A more detailed forecast that includes new analog years will be released on 31 July. We are still calling for a below-average probability of United States and Caribbean major hurricane landfall. Overall, they’re expecting about 70% of an average season. In the previous forecast they had increased the prediction from 60% due to the weakness of the upcoming El Niño. El Niño still appears likely to develop over the next couple of months, although its development has slowed in recent weeks. Upper ocean heat content anomalies have recently decreased to near zero (Figure 3). Figure 3: Central and eastern tropical Pacific upper ocean (0-300 meters) heat content anomalies over the past year. Anomalies dropped during the early portion of the winter, rapidly increased into early April and have since decreased to near-normal levels. Figure courtesy of Climate Prediction Center. We had several strong Kelvin waves propagate across the tropical Pacific during the late winter and spring (Figure 4). These Kelvin waves are characterized by a downwelling (warming) phase followed by an upwelling (cooling) phase. In the mean sense, these Kelvin waves typically increase SSTs in the eastern and central tropical Pacific. Kelvin waves are triggered by strong anomalous westerlies near the International Date Line. These anomalous westerlies which were present during the spring months have tended to be absent in recent weeks (Figure 5). One of the primary reasons why we believe the 2013 Atlantic hurricane season was so quiet was due to a very strong weakening of the THC/AMO during the spring months of last year. We have created a new index to assess the strength of the THC that is defined as a combination of SST in the region from 20-70°N, 40-10°W and SLP in the region from 15-50°N, 60-10°W (Figure 7). The index is created by weighing the two parameters as follows: 0.6*SST – 0.4*SLP. The index has been much more stable this year and is currently running near average (Figure 8). We do not see any major changes at this point to the THC that would cause us to significantly adjust our forecast. We will be issuing a final seasonal update of our 2014 Atlantic basin hurricane forecasts on Thursday 31 July. We will also be releasing two-week forecasts for Atlantic TC activity during the climatological peak of the season from August-October. A verification and discussion of all 2014 forecasts will be issued in late November 2014. All of these forecasts will be available on the web at: http://hurricane.atmos.colostate.edu/Forecasts. Zorba~ We get cherry-picked anti-science BS from the MSM every day that they report the newest AGW scare. Where have You been? Increasing global cloudiness since around 2000 is gradually reducing the proportion of solar energy that enters the oceans to drive the climate system. El Nino is gradually becoming less powerful relative to La Nina. Thank you for the ENSO update. When NOAA danced around singing about a super el Nino causing a hotter year, it was a good bet that they just lanced the ENSO this year. Warmists are still drooling about getting more hot air. Joe Bastardi: Thank you for the winter warning, I think. Given your spot on Arthur prediction I should start squirreling wood for the winter, now. Today. Especially after the cold front that swept through Virginia the last few days; cool breezy low humidity Virginia summer days are very unusual, and chilly. Are you referring to the last 17 years as something that is cherry picked? A hiatus that seems to have fully ended the 1990s warming trend. Not forgetting that the very cherry picked 1990s warming trend just prior to the last seventeen years is almost anomalous, unless one likens it to the warming trend in the 1930s. The real laugh is where CO2’s trend is continuous growth with no definitive link to flatlined temperatures. Welcome once again to the WUWT sportscenter where we’re covering the epic match between The Merchants of Doubt vs. The Merchants of Fear. Before we go live at ringside lets recap what’s happened so far between this David vs. Goliath match-up. In round 1 the heavy weight Merchants of Fear dominated the light weight Merchants of Doubt culminating the round with a vicious right hook (hockeystick) that sent the Merchants of Doubt reeling. In round 2 the Merchants of Doubt were kept on the defensive and just barely managed to avoid complete annihilation by countering the right hook with some fancy footwork (Wegman, M&M). In round 3 The Merchants of Fear took one devastating blow (Climategate) after another (WUWT, CA, JoNova, etc.). In round 5 The Merchants of Doubt landed yet another devastating blow (Hiatus), a lessor opponent would have been out for the count but the colossal Merchants of Fear seemed barely fazed. In round 6 the Merchants of Fear came out strong with a series of jabs (super El Nino is coming!) but seems to be tiring out now. Have the Merchants of Fear fell for the ole rope-a-dope? The question on everyone’s mind here is whether the Merchants of Doubt will be able to take advantage of the situation and deal a debilitating blow to The Merchants of Fear. The crowd is positively electric with anticipation. The Merchants of Doubt seem to be positioning for attack and The Merchants of Fear seem to have stepped into a trap but it’s still a viper vs. a mountain, anything could happen. Perhaps the albedo from record Antarctic sea ice extent is having an affect on temps in the Southern Ocean? There are fewer strong or climate altering EL Ninos during global cooling cycles , one per decade . There will unlikely be another strong El Nino until the end of this decade. As the globe heads toward 2100 and the global temperatures continue to cool further due to ocean cooling( mostly North Atlantic at the moment). there will generally be fewer strong El Ninos. Herkimer, I believe it is the string of El Nino’s that is causing the oceans to cool. We are losing ocean heat and not gaining it back. If we experience a strong series of La Nina’s, when oceans are recharged with heat, we may be okay. But a continued series of El Nino’s heats the land by losing heat from the oceans. The mechanism is clear. All this knicker twisting over land heat signaling global warming is wrong. The increased land heat was telling us that the oceans were actually cooling! Our heat engine is running out of gas. I live in the Chicago suburbs. How disappointing. That could mean less precipitation for southwest USA including Texas. “Get ready for a nasty winter, btw.” Joe, what do you mean nasty ? Last year was nasty, but I don’t see that type of a winter this coming winter .The 2010 winter was nasty as we had the 2009/2010 El Nino, but this El Nino will be weak in my opinion. So I think this coming winter may not be that nasty( with regional exceptions) Can you expand on what you mean ? I, too, predicted a busted El Nino from a look at the cold water thinning out the hot in the Eastern Pacific plus a large intrusion of cold from the southern ocean rising up the west coast of Chile and Peru when Tisdale gave his last review of the approaching El Nino. BTW, I’m thrilled that Joe also makes use of the 60 yr cycle that has apparently fallen out of favor with the rise of the the anti-cycle analysts – Willis, etc. I’ve mentioned the ‘cycle’ in connection with Texas drought, western wild fires, hurricanes, tornadoes, cold spring/summer in the Pacific NW and floods over the last couple of years on threads here. I am a Virginia native and this is normal post-hurricane weather. Don’t worry, summer will be back in full effect this coming week. Another way of saying this is thay the “ground state” of the Pacific was not conducive of an el Nino. According to some authors the Pacific ground state switches with alternate phases of the PDO. I remember when the present now defunct Kelvin wave first appeared, the equatorial temperature profile showed extensive cool anomaly which almost overnight seemed to switch to warm. My first thought was to wonder what had happened to all that cold water. You explanation would indicate that it had not in fact gone away but sapped the strength from the Kelvin wave so that the incipient el Nino has ultimately now failed to develop. All this stored energy in the deep, supposedly fueling El Nino. What happened to it? “The Gore Effect” is really quite broad. Algore doesn’t have to be present. Gaia just won’t give the Warmistas the catastrophe they so desperately desire. Our Earth strives for the truth. Hey Vlad – that film we watched last night, Frankenstein, its given me an idea. You mean that one with Keith Branagh and Helena Bonham Carter? Yes – this Frankenstein chap was putting dead body parts into amniotic fluid and giving them an electric shock and hey presto – they came back to life! So all the congealed blood and bacterial and fungal decay disappeared in a moment and the organs functioned normally. .. Exactly – so that a body stitched together from parts of several corpses would come to life – with big stiches all over its head for no reason. Surely you are not thinking about our late good friend El Ninot? You’re on the ball today – yes, I have everything prepared. You up for it? You bet – so, shovels at midnight? Screwed up the bold again – I’ll have to go and practice. This is something that people just don’t understand, even though a mere glance at e.g. HADCRUT4 or figure 9.2a in AR5 make it absolutely clear. All of the warming — that is all of the warming — of the last 75 years occurred in a single stretch of roughly 15 years, from 1983 to 1998. The warming over that stretch was significant, no doubt, but it was entirely driven by two extraordinary ENSO events, primarily the 1997/1998 “super” El Nino. Even so, the warming of the 1930s almost precisely matched it, to the point where if one cuts the 20th century temperature record into two pieces and display them side by side, it is not at all easy to tell which one is warming with the help of CO_2 and which is warming without it. I repeat — of the last 75 years of the temperature record, 60 of them have been neutral to slightly cooling, 15 of them warming. One then has a choice. 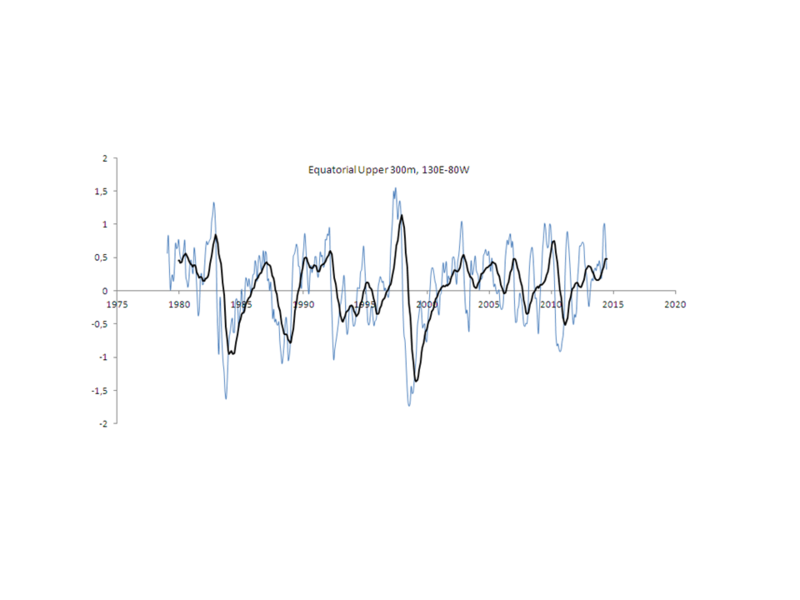 One can either cherrypick the single 15 year stretch of warming and claim that this is somehow the correct behavior and everything else is anomaly, or one can not cherrypick at all and use the warming trend from (say) 1850 to the present of perhaps 0.05 to 0.06 C/decade as the trend of all of the data. Either way, the climate has been neutral now for longer than the sole warming burst of the last 75 years lasted. Zorba, You act as if you know it all. You’re so sure of yourself. Perhaps you should stick around and abZorba some information here at WUWT. I recommend you read WUWT privately so your “friends” don’t call you a heretic. ‘Herkimer, I believe it is the string of El Nino’s that is causing the oceans to cool. ‘ I think this is the vernier mode of ocean surface cooling and unless the El Ninos or La Ninas are strong, their impact is short lived . El sol frío mata al niño débil, como en las décadas de los años 50 y 60. I suspect Obama’s advisors reassured him that he’d be able, by the fall, to point to a record-breaking GASTA fueled by this El Niño as vindication of his alarmism. I will have to read up on William Gray’s theories, I also feel that the deep ocean circulation has to hold the key to climate shifts on multidecadal to millennial time scales. Heidi de Heet is still there. Keeping Heidi de Klein company, no doubt. A lot of people don’t know this, but ‘el nino’ is spanish for ‘the nino’. it’s what I stated on a previous WUWT Blog page …. Looks more like a “Modoki” el nino if you ask me. which means “a similar but different thing”. do you all realize that the climate IS changing? We all hope like hell that sometime after about 2030 we will see it (this stored energy) released from the oceans over the following 30 or so years as a predominance of el Nino over la Nina. With any luck the trend since about 1850 will continue slowly upwards, unless there is a cyclical downturn indicating that the slow warming since the LIA is over for a while. What this will all mean is that the climate is behaving as it always does , as far as we know. +1 to your linked website explanation. listening to “green” lobbyists and deceivers like Al Gore Jr. If it gets mixed into and absorbed by deeper, more voluminous, and cooler layers of the ocean, it–or some of it–will effectively become “sequestered”–Right? For those who are new to this subject I found the following definition and page very educational. The appearance of warm water off the tropical Pacific coast of the Americas was named by 17th century fishermen “El Niño” for the Christ Child, since it usually arrived around Christmas. As expected based on my ANN Artificial Neural Network, this ENSO warming phase is fast fading out and is in line with my forecast. Expect a short La Niña or possible neutral condition at the end of this year. I expect a medium or weak El Niño at the end of 2015. The next prolonged and major El Niño is coming in 2018. I’m currently compiling and putting together a Power Point Presentation in which I show how and why I did found out what it is that is causing ENSO variations. In this presentation I’m going to show from which source the forcing effects are coming from and the mechanisms that are involved in this process. In this contect the climategate email number 1682 come to my mind. Yes that’s correct. In common parlance in Spanish, the Christ Child is often called simply, “The Boy God”, “The Little Boy”, or simply just “The Boy” [ El Niño ], and indeed 17th Century South American Fishermen are credited with using the expression first for this phenomenon, for the reasons you say. Katherine and JJ: For an El Nino to be included on the Oceanic NINO Index, NINO3.4 sea surface temperature anomalies have to remain at +0.5 deg C or greater for 5 consecutive “seasons”, where the seasons are a running 3-month average of NINO3.4 sea surface temperature anomalies, so it’s not really 5 “months”. Love the images. Maybe to honor the Virgin Mary, warm phases of the ENSO should be shown in light blue instead of red or pink, & also because, well it’s a Boy! Of course in normal mammalian parthenogenesis, the immaculate conception should have produced a girl identical to her mom, but I guess God but can do whatever He wants. I do not put much stock in surface temperatures. The top 700 meters is what I am interested in. I call it the oceanic dynamo climate theory. I am interested in the discharge recharge dynamo (to steal a phrase from solar mechanics) theory posited by Bob Tisdale. The bottom of the ocean current is a very long term entity and may not play a huge role in temperature swings measured in decades, such as the recent global warming and the even more recent pause. The top 700 meters is where all the action is and this CAN explain temperature trends measured in decades of a 100 years or more. When the sky is clear (and we are in La Nina cold, dry air in the Western states), the equatorial band is soaking up rays deeply (top 700 meters especially). This recharged layer then plays a dance between getting mixed versus getting layered. When it is mixed it stays in the ocean and we stay cold. When it gets layered warm goes to the top, cold to the bottom of that 700 meter layer, and we warm up as the oceans release that heat to the atmosphere. As long as we seasaw back and forth we have livable conditions and prosper as a species up here in the Northern latitudes (haven’t studied the Southern Latitudes so my apologies). We might be in that seasaw right now. However, problems begin to happen when occasionally, more heat (more El Nino’s) is lost than gained. With El Nino’s layering our equatorial ocean band and causing clouds to obscure the equatorial Sun (which causes us to heat up on land) over time we slide jerkingly into global cooling/cold trends that leads to devastation because the oceans have emptied their gas tank. Eventually though, the skies clear and once again open the door to heat soaking back into the top 700 or so meters. When things calm down and the equatorial ocean layers up, we will warm again. Here is the scary scenario. If you look at the El Nino index, I get this worrying feeling that we have been losing a lot more heat than we have been replacing. The questions are 1) are we in a seasaw, 2) are we in the knee just before the slide, and 3) how do we know which one it is? IMO ENSO follows UV, solar wind & magnetic field fluctuations, probably via variations in ozone production, atmospheric pressure differences, creation of CCNs & direct heating of the surface. Milo, the term we normally use for the mother of Jesus (“Virgin” Mary), meant “young” girl in Aramaic. Not “virgin” girl. And there is a big difference. The Aramaic term is in direct reference to being pre-menstrual. In that culture, girls were often given over to marriage before their first menstrual period. Why? So that they could still be considered “clean”. Girls that began their menstrual period prior to getting married were considered unclean. This explains the Catholic addition to her name, “the immaculate conception” which refers to Mary’s mother, not Mary. It means that Mary was conceived in her mother’s womb before her mother had her first period. Like mother, like daughter. The New Testament is written in Greek, in which language “virgin” is “parthenos”. Some Aramaic words of course do show up in the NT, but the word for virgin isn’t among them. Maybe you’re thinking about various interpretations of Hebrew (“almah” or girl) & Aramaic words in the Old Testament, such as Isaiah, which bear on whether or not the virgin birth satisfied OT prophecy. Maybe Matthew mistranslated the Hebrew or he didn’t, but that’s what it says in the NT. Same word as in the Parthenon, dedicated to goddess Athena. You’re right about the IC, but Mary is not said to be her mom’s identical twin, either. However, Mary also allegedly conceived parthenogenically, letting Joseph off the hook, although apparently is it was common in Roman Palestine for betrothed couples to conceive before wedlock in order to make sure that they could do so. El Niño events. Has for well over a decade now. I agree generally with your musings to explain the recent warming and the typical 60 year climate cycle . However when it comes to the longer term cool periods when oceans like the Atlantic ocean and AMO stay cold for 50- 60 years like 1790-1850 or 1600 to 1650 , your musings may not account for all the factors of what happens. I believe that during these longer cold cycles, the ocean conveyor belt is somehow altered through other mechanisms. ( MOC changes? ). Personally I believe we are headed for one of these longer cool periods from now to possibly up to 2100 and I am focusing my research into this area..
IMO centennial scale cool & warm phases like the LIA & MWP are associated with major shifts in the AMO, for instance, if not in fact caused by them. These Bond “cycles” are the Holocene equivalent to D/O cycles during glacial times, related to fresh water pulses from Heinrich Events & the Dryases. Their frequency is similar, but the amplitude of climatic variation about an order of magnitude greater during glaciations as during interglacials. Many commenters here disagree vehemently. My question is …… Have they deleted or edited the predictions of a “super” El Nino over at SKS? If they have not as of yet, someone should go do some screen catches and to shame them with later when the inevitably do edit/ delete them. I am not adept enough with a computer to do it myself. … But a continued series of El Nino’s heats the land by losing heat from the oceans. The mechanism is clear. All this knicker twisting over land heat signaling global warming is wrong. The increased land heat was telling us that the oceans were actually cooling! Our heat engine is running out of gas…. I thinks the Polar circumpolar vortex can pull some heat out too. You say that this coming winter is going to be a rather cold one. Do you think that the Great Lakes ice coverage will beat this past winter’s (#2 highest coverage) and the record set in 1979? From where? Did they flee to the hills? and eventually killed him. The real story can only be found from extra biblical sources. The original book of Revelations comes from Qumram and was philo – Semitic but was overwritten and made anti- Semitic. I agree with you about the heat, good work. how is it that non -scientist’s can look at predictions made by scientists and computers and models and immediately see that they are not going to come true? could it be that scientists are blinded by science and non scientists rely on common sense and observation. I’m not a climate scientist but when I saw theMega El Ninio predictions for 2014 I thought…maybe not I dont know why, i have no proof but I just doubted. If I/we are proved correct by the actual events (or non event) what does it say about the science and the scientists? or for that matter the media who believe the scientists? Where do the Anchovies go ? lower depths were cooler water and phytoplankton are available. anchovy either migrate to where more food is available or die off. There is a lot of money riding on the La Nina/El Nino question. …….follow the Anchovies is spot on. Dead animals decompose and produce gases that smell and react with old paint on old boats. The boats change color – such a weather induced event becomes The Callao Painter. If for some uncanny reason my outlook on this continues to match reality, then ENSO will head towards slightly negative, with November being the furthest in that direction. By mid January there should be an uptick leading to a short El Nino around March/April. After that there will be a long La Nina, around 3 years. This is about fluctuation of populations year to year, and of early survival, not the where-abouts of a fixed number of immortal fish. The number of anchovy larvae – like any fish – which survive and grow to small fish varies enormously over orders of magnitude. It all depends on how many food items are to be found in the accessible vicinity of an anchovy larva drifting around in the east Pacific, with an ability to swim just a few cm in water which to an organism of that size feels like a viscous syrup. Spawning anchovies release millions of fertilized eggs but the critical factor is early survival. Upwelling brings nutrients to the surface waters meaning much more phytoplankton food items for baby anchovies. Thus upwelling causes enhanced early survival of anchovies and eventually a big year class of anchovies. Since the entire body of Christian scripture is hearsay, and since the Matthew and Luke versions of the Nativity do not take place within the same decade of one another (Herod the Great vs Herod Antipas, positively dated by the references to John the Baptist on the one hand and Quirinius on the other) it is difficult to make a more correct statement than this. I would refer people to the Jesus Project and to Bart Ehrman’s several well-researched and objective books on the subject. Not a word of the Bible would be admissible as evidence in a court of law, and in the court of “science” (as in “consistency with scientific evidence”) it fails every reasonable test from Genesis on. “Matthew”, whoever he really was and whenever he really wrote, was anxious to establish Jesus as the Hebrew Messiah (in strong contrast to Luke), and went as far as to refer to an absolutely irrelevant passage in a cosmically failed prediction from Isaiah to establish the “prophecy” of Jesus’ birth. Isaiah doesn’t really refer to the mother of “Emmanuel” (which Jesus was never called) as a virgin either, but between Krishna, Romulus, Dionysus, Zoroaster, Attis of Phrygia, Horus, and Mithras, it was probably difficult for early Christianity to gain traction in god-rich Rome without virgin birth status (and so much more) so the various authors and redactors of the many “scriptures” (including the gnostics, both lost and found) redacted away and behold, Mary was a virgin and Jesus had all of the properties of all of these various deities — and more. As for the current El Not-so-Nino — when it was predicted to be strong, I warned against believing the prediction since we cannot really predict the behavior of a nonlinear chaotic system we do not really understand and cannot numerically solve six to twelve months out. Now that it appears to be fading, let me repeat the warning, as it works both ways. The climate is a nonlinear chaotic system, and it is not constrained to do things “like” things it has done in the past, especially when “the past” consists of a handful of exemplars over a handful of decades of reasonably accurate observation. It could be as “like” the super ENSO of 1997-1998 as two peas in a pod in January, and the flapping wings of a coconut laden African swallow could cause it to be a complete fizzle by December. Or not — I may be exaggerating the timescales that can contribute from trivial perturbations or not. Since we cannot solve the actual physics problem We Do Not Know. In other words, one cannot really count it out yet, either. It could fizzle, grow, fizzle, grow, and then grow into a monster, or it could fizzle and segue directly into La Nina. Bob Tisdale probably has decent intuition and at least as good an index of prior oceanic states to match up against as exists, but those states all corresponded to distinct climate histories, solar histories, coconut-laden swallow histories and so even Bob can do little more as a pundit than say “At this point my best guess of the odds are…”. There is no provable statement — or even heavily weighted probable statement — to be found here. I therefore simply wait for nature to take its course… as do we all, really. With all due respect, the attraction of a steady-state Solar input and dynamic Earth producing its own climate via labyrinthine complexity has only beauty and no explicative value in support. It is a Ptolemaic impulse not a scientific one behind it. The Earth is an open system deriving virtually all of its energy from the Sun. Centering on its layers of complexity isn’t thought, its day-dreaming. The El Nino is fizzling because there is no surfeit of heat to evolve. Where is the freaking moderator? Dr. Brown (rgbatduke) must be a prophet 😉 He seems to speak my mind for me. It was through in-depth study of the Bible in a Christian group, wanting to believe, that I ended up studying my to an agnostic viewpoint. It was from a viewpoint of wanting to believe that our SUV’s were causing catastrophic global warming, that I studied my way into a viewpoint that “we don’t know” how the chaotic system of Earth will respond to our (minuscule?) contribution of CO2. Thanks again for your contributions, Dr. Brown! As for the current El Not-so-Nino — when it was predicted to be strong, I warned against believing the prediction since we cannot really predict the behavior of a nonlinear chaotic system we do not really understand and cannot numerically solve six to twelve months out. If you’re joining the long line of folks claiming “I told you so” about the el Nino no-show – well I might as well do the same. Damn – cant you help me get this shoe off! Never mind your shoe – el Ninot is really coming this time. Yes – or if not, then tomorrow certainly. Just as soon as those trades stop blowing and allow the Kelvin wave to surface. And those trades will die down any day now, wont they? ps…one other aspect to this method is that it also shows me why it cooled in September, why conditions shifted at the end of November, and why conditions shifted at the end of March. At least I think that this is what I have seen. I will await nature,s decision. goldminor, do you have just a connection or a mechanism? Either way, what is it? I was mostly correct with this thought, except for the cool intrusion towards Alaska which stayed further south. After a brief early warming at the beginning of May, the temperature has remained cooler than the last several years. June in particular was a very nice month as compared to the heat of the last several years. The temps turned up again as of last week and are slated to be in the 100s for the next week. I expect the end of July to show cooler temps, and stay like that through August and September. The connection is the Sun into the oceans and back out again. I do have some partial thoughts as to how and why, but at this time I wish to wait and see if nature is going to continue to follow in this pattern. After all this could be just a Grand Coincidence, and I am fully aware of that. I use the following link for Oregon weather pattern forecasts. They strictly use analog years instead of models, but also mention those models in comparison to their analog years. @ Pamela Gray…I do have a way with seeing current phenomenon correctly. Here is another comment that turned out correct…. Antarctic sea ice is on the upswing again and is close to the +2sd line. the trend will likely cross above the +2sd line within 2 weeks. Well, actually, I am joining the short line of folks claiming “I didn’t tell you so” because what I did (and do) say is that there ain’t nobody that can tell somebody so about El Nino/La Nina. Even the people who told you so and happened to be “right” were telling you out of wishful thinking or numerology, and chaos laughs at both even as it randomly agrees with both — except when it doesn’t. I don’t even “believe” that El Nino is — or isn’t — a no-show now. All I, or anyone, can fairly say is that there is at least one sheep in Scotland black on at least one side (math/logic joke) or in context, that there hasn’t been an El Nino worthy of the name so far. Ask again in three months, then again in six months, then again in nine months. I think El Nino is basically unpredictable except in the very broadest of terms — e.g. its Fourier power spectrum isn’t unbounded and flat, with multiple “peaks” (if one can call them that) somewhere in the 2 to 8 year range, maybe, possibly. A high-resolution non-Markovian chaotic oscillator is not predictable on the basis of a handful of low-resolution Markovian observations. goldminor, you have to be kidding. Of course the Sun warms up the oceans and that heat can also be evaporated back out again. Are you saying that one or the other changes? The Sun? The ocean? The atmosphere? If you want to have your speculation vetted this is the place to do it. I jump out on a limb all the time with my speculations. I do that because I WANT them to be scrutinized! Because of the drag created by big mechanisms, trends, especially when couched in terms of “cooler” or “warmer”, are easy to speculate on a year out. But we are in the knee of something. Either an uneasy yet stable seasaw period or an oscillation knee. Which do you think it is? And based on what? I think it is at an oscillation knee and we are slowly running out of heat in the oceans each time it layers up and gets rid of some of what we had stored up from the last series of La Nina pattern conditions. Why do I think that? We haven’t had a long, cold, deep La Nina since before ’98. And each successive El Nino SST response after the big one in ’98 has been in an overall downward step. 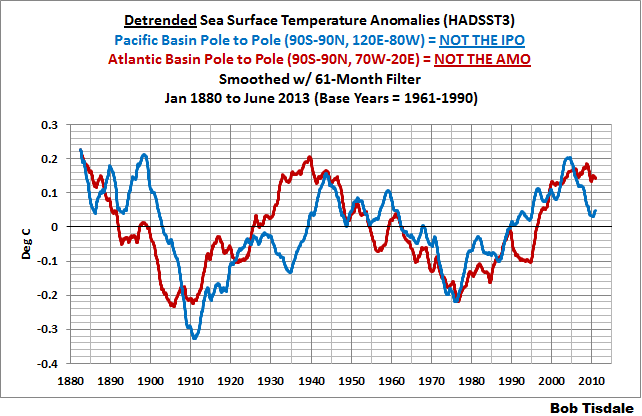 Which leads me to speculate we are slowly running out of ocean heat below the surface. Unless we hurry up and get a good La Nina, it will slowly get cooler and dryer on land because the oceans are running out of gas. The Multivariate ENSO Index (MEI) anomaly demonstrates my speculation. The clear sky conditions that allow for deep ocean heating throughout the 700 meter column is enhanced greatly when the MEI is in negative territory. You can speculate how much heat got stored up prior to ’98 and how much heat has likely been evaporated away after that period. You can also see the clear trend that I speculate is the system running out of stored heat. @ Pamela…I am looking at this as heat entering the ocean and returning many years later to influence the current conditions. So what we see as current weather is in part influenced by the past. Am I seeing this correctly? I am not sure, but there were so many positive connections in the data that I was looking at that I have persisted with the thought. So now I am waiting for nature,s answer to my thoughts. I do not have the skill set that many here have with the sciences. I dropped out of first year chem/physics from USF, partly in protest to the ‘beware the military/industrial complex’ of the late 60s. So I cannot do the math, even though math was my strongest and easiest subject back in the day. My strength is that I was blessed with a strong mind, and I also received some further blessings as I went along. I have some unusual qualities. I think it is at an oscillation knee and we are slowly running out of heat in the oceans each time it layers up and gets rid of some of what we had stored up from the last series of La Nina pattern conditions. I completely agree with your outlook. Definitely. Need to wait at least until Christmas along the tropical eastern Pacific coast, although maybe detectable earlier in mid-Pacific. @ Pamela…I wish I had the 99 bucks to spend. The preface sounds intriguing. I had to log off earlier because of an attack. I usually load pages and then disconnect to read. I overstayed the connection and someone reached out to touch me. Goldminor, your thinking is in tune with what Bob Tisdale has speculated which is stored ocean heat layered by El Nino then echoing out as ripples in the multi-ocean SST temperature data series each time an El Nino sets up a release of heat. His labeled splicing of El Nino events with the temperature series is brilliant theory speculation that implies plausible mechanism. Eye candy that tickles my brain immensely. I think Bob is onto something that is undergirded by Earth’s dynamic systems: A perfect marriage between his recharge/discharge ENSO speculation that El Nino layered heat is echoed and added into other ocean basins, and what is being investigated among geophysical scientists studying atmospheric and oceanic dynamics and theory. These are important combined areas of research that could lead to an atmospheric oceanic climate dynamo theory (as you can see I am playing around with the title till I find one that fits just right) that is resistant to anything but powerful events, such as continental positions, axial tilt and orbital wobble, or catastrophic volcanic activity. If you get regular “attacks”, then there is something wrong with your PC or virus protection. My guess is that your PC is infected with various virus and trojans. The other possibility is you have no effective firewall working. Typically, most people encounter virus’s only when they download information from old servers that are not well maintained and therefore have become infected, or from email from people that have infected PCs. For the majority of people, their virus checker will notify them that they encountered a virus and it is blocked. After encountering such a warning, I would notify the owner of the server so that they can fix it. You should never encounter such notifications while browsing well maintained commercial servers or for example while reading WUWT web pages. If you do get such warnings while loading pages from such servers, then probably your PC is already infected or else the firewall is not working. If you have a trojan or virus, this virus or trojan may attempt to run and send information or load data whenever you are connected to the internet. When this happens, you might sometimes get a notification or warning from the firewall or virus checker. If you are getting such notifications regularly, then your PC is probably heavily infected and probably is sending data or doing other things that you don’t know about without any warnings. The solution – get a new virus checker and make sure it is working properly. There are often virus protections that get high ratings on the web. Many work very poorly. If you are not paying for the virus protection, you probably have a very poor virus checker. The ratings for virus checkers are very biased – PC magazine and others give high marks to virus checkers based on advertising revenue and etc. McAfee or Norton have been over time the best ones. Microsoft now provides virus protection but they don’t have a long track record. So, you won’t know if it is going to work well over time. Once you have a good virus protection, it should provide “status” to tell you if the firewall is on and working right. Make sure your new virus protection has loaded the latest update and manually have it do a full scan the first time it scans. Your 99 bucks might be better spent on some anti virus software. Cureit by Dr Web is an effective and low price option. Plus go to control panel and programmes and uninstall anything that looks suspicious. Most ENSO researchers agree that the actual el Nino and La Nina events have a nonlinear dynamic, being driven by the transient positive feedback of the Bjerknes mechanism (trades drive upwelling, upwelling drives trades). However there is disagreement as to whether rhe irregular ENSO os a continuous nonlinear oscillation or only intermittent, becoming suspended for intervals between ENSO events. There are scientists who hold both views. The intermittent view allows the possibility that stochastic or even astrophysical forcings can initiate ENSO events which once over a threshold are then carried on by a nonlinear dynamic. Pamela… yes, I see something very similar to that. The first thought was along the lines of pulses or packets of solar energy into the oceans that are somehow able to maintain a specific signature. Can the oceans density and other oceanic forcings enable such behaviour? It would have to have a capability along those lines for this type of behaviour to work. Another thought in the background would be “is there another way to rethink what I am observing that involves the Sun itself? After a week of observing the details and thinking about what was in front of me, I noticed what might be an overlapping solar cycle sequence, but it is hard to grasp and explain. Shortly after that I was sidetracked heavily by the end of service for XP on April 8th. That had the effect of severely breaking my thought stream.The attacks were immediate and were successful in shutting my computer down for 2 days before I regained partial stability. It has been a cat and mouse game since then, and every now and then I have to restore from backup to keep going. It had been argued that a “permanent El Niño” operated during the warm Pliocene, before the formation of the Isthmus of Panama. Better time resolution now suggests that there was indeed an oscillation then & in the Miocene, although perhaps less pronounced than now. @ BobG and phlogiston…thanks for the advice. I have always run an av and firewall. My problem is likely due to the person who showed me how easy it is to install an operating system, Win XP Pro; but I was never shown how to set all of the details of XP Pro. I probably have the front door wide open for all that I know. Originally, it was never an issue because the only reason that I got a computer was on my son,s advice that the best games were pc. I never intended to end up in a dialogue on the internet. That changed when I first saw and heard one of Obama,s speechs back in 2008. I immediately had the understanding that he was going to be the next president, and I realized that I had something to say about that. My comment on Newsvine back then was that he was the right man for the wrong reasons. After that I started reading science related articles, my favorite read, and here I am 6 years later involved in this discussion. Goldminor, the Earth comes equipped with its own intrinsic Sun shades (clouds) that have oscillations of their own such that more or less Sun is allowed in or reflected away from the very important equatorial band that is more perpendicular to the incoming insolation that reaches the ocean surface. The heat is then stored, mixed, and/or moved around riding in the multiple currents we have in the oceans stacked on top of each other as well as currents that branch and converge. The wind itself can shove a surface current of warm water underneath a cold one. With this kind of mixing, the oceans can store a tremendous amount of heat if given access to it under clear sky conditions, and it can take decades to rid itself of that heat. Why? We don’t often get the doldrums, that dead quiet windless ocean that now and then plagues the likes of pirates and those that tried to sale around the world. That’s when the ocean layers up like a good white Russian and evaporates heat (which by the way heats me up as good as a crackling fireplace). The Sun does not need to vary for this to happen, and indeed, the clouds are far and away more powerful in adjusting incoming watts than the Sun could ever hope to do in its sunspot cycles be they large and many or tiny and few. @goldminer – I think that the probability is very high that your PC is “infected” with viruses or trojans. Your av and or firewall are probably ineffective, old or compromised especially given your older version of operating system. On the topic – my view is close to Pamela Gray. I think there are feedbacks that tend to hold the earth in a stable climate. However, the feedbacks that maintain the climate as fairly stable may be influenced by changes in ultraviolet from the sun or GCRs during very deep solar minimums. These changes adjust the feedbacks. But I think natural changes can also adjust them. This makes it difficult to see patterns in the data. @JoeBastardi: …”and its much more in line with a cold pdo SPIKE with the MEI cold preceding.” Joe, I follow your reasoning on that and interested in seeing the monthly PDO value for July when its updated. Meanwhile, the global climate experts have not given up hope and do expect, according to their expert climate models and in their expert of expert opinions, that their forecasted 2014 El Nino, although weakened, will continue to develop. Sail, not “sale”. Geesh Pam. The attacks were immediate and were successful in shutting my computer down for 2 days before I regained partial stability. It has been a cat and mouse game since then, and every now and then I have to restore from backup to keep going. Otherwise, yes, you need to buy and install a high-end AV program and hope that it is successful in cleaning your system, or else back up your data, reinstall Windows from scratch (a daunting prospect for most people as it is probably more difficult than installing Ubuntu or Fedora Linux from scratch), THEN install AV software, and FINALLY restore your data. The AV software will then clean your personal files, which no doubt are trojanned as all hell. The problem is that it isn’t “cat and mouse” as it is unlikely that you personally are being attacked personally. The problem is that your system has some utterly automated viruses and trojan horse programs and perhaps some backdoor programs that permit other fully automated programs to connect to it at will and use your system to e.g. distribute SPAM or warez, steal your personal information and passwords as stored on the computer, etc. You typically get these by clicking on an infected piece of email or responding to a phishing probe sent by email, or by downloading and using “free” software from the internet or downloading content from e.g. pirate bay or any of the other gray-to-black sites, or by visiting an infectious web link with weak security set in your browser (or just using an insecure browser e.g. Explorer). But almost none of it works against Linux users (and less works if you install and use Chrome or Firefox as your primary browser, even under Windows), and comparatively little of it works against Mac users. Once installed, malware is basically almost impossible to get rid of, especially if you don’t really know what you are doing and don’t have powerful AV software that knows what you are doing for you. I know exactly what I am doing and wouldn’t know how to begin to remove a deeply embedded worm without a custom tool in less than weeks of full-time work and would (and have in the past) just done complete re-installs from scratch. These days, I run Windows in backed up virtual machines under Linux, so if it gets trashed I don’t care, I just refresh the VM. Well, actually, I never ever run Windows at all, but if I did I’d use my old XP VM. Win XP Pro; but I was never shown how to set all of the details of XP Pro. Microsoft would be interested in offering you an ambassadorial role promoting Windows. Are you available? Thanks for the advice. Moving to Windows 7 sounds like the move to make, although using Ubuntu as you describe also sounds worthwhile. I am fixed income so maybe I should try Ubuntu first. You are correct in that I only need it to go online for my reading. The only real reason why I pay 70$/month for internet is to stay with this conversation. For California in desperate need of a water top-up to continue to be the breadbasket for the civilized world, this is indeed sad. I hope for at least a mild El Nino to keep the crops alive. California is in desperate need for good governance. The same can also be said about the US government. I have lived in this state my entire life. If I had the money to leave, then I would. I am sick of the left wing Democrats and all of their agenda driven regulations that are taking away personal freedoms from the populace. In that regard, let the La Nina rule. Let us see seven years of lean harvest, to be followed by more of the same. On another note, I would like to update my ENSO forecast to reflect cuurent thoughts after viewing the changing conditions and how that applies to my speculative outlook on what drives the process. First off, the current conditions now fit my speculation like a glove. This, of course, is all coincidence at this point in time, at least until more time passes to either confirm or refute my speculation. Looking at the material I am using to make my determinations. I would now add that over the next several months, the ENSO will most likely not cool past neutral. I see a shift towards the end of September and into October that should move the ENSO pointer back to positive. Then in November it is likely that the dial will drop to negative ENSO through the end of the year and into early January. It will be after that point that an El Nino will develop, and it should peak in April of 2015. Let’s see if this comes to pass.